Editor's Note: This post was originally published on December 29, 2016. Housecall continues to share this piece due to ongoing requests and reader interest. So you've decided to put your home on the market. Congratulations! Hopefully, you've brought a rockin' REALTOR® on board to help you list your spot, and together you've done your due diligence on what to ask for. As you start checking things off your to-do list, it's also important to pay mind of what not to do. Below are a handful of things to get you started. As you ready your home for sale, you may realize you will get a great return on your investment if you make a couple of changes. Updating the appliances or replacing that cracked cabinet in the bathroom are all great ideas. However, it's important not to over-improve, or make improvements that are hyper-specific to your tastes. For example, not everyone wants a pimped out finished basement equipped with a wet bar and lifted stage for their rock and roll buds to jam out on. (Okay, everyone should want that.) What if your buyers are family oriented and want a basement space for their kids to play in? That rock-and-roll room may look to them like a huge project to un-do. Make any needed fixes to your space, but don't go above and beyond—you may lose money doing so. Over-decorating is just as bad as over-improving. You may love the look of lace and lavender, but your potential buyer may enter your home and cringe. When prepping for sale, neutralize your decorating scheme so it's more universally palatable. Hi Nancy, There are few questions I’d like to ask you in reference to deciding whether or not to rent your Connecticut house. How far away will you be moving? If you are relocating out of state you will need someone local to address any items that may unexpectedly arise. You will also need a realtor you trust to work with as your tenants move out and a new tenant needs to be found. How long do you envision keeping it as a rental property? Most houses look best when the owner lives there in comparison to when a tenant lives in the premises. If you plan on renting the property for just a couple of years with the hope the market will improve keep in mind the house will need sprucing up prior to being listed. This includes but is not limited to a fresh coat of paint inside and out in the current colors, landscaping, appliances. What is the age of the roof, boiler, driveway asphalt, air conditioning system if you have one? These all have a design life, are costly to replace and are considered maintenance items not improvements. Very true showing homes when seller not present increases your chances of a sale!Realtor Long Island NY since 1978 Good luck happy holidays! Very good information. Some of the points I had never thought about. I disagree about not being there. I think both the owner and listing agent should be there to make sure the buyer sees everything and gets all their questions answered immediately. That is called sales. At a minimum the seller should be there. Listing agents shudder at this thought. They are in the business of listing homes not selling them. This idea that the buyer needs to experience it is a convenience for listing agents so they can be out looking for more listings and not at the property making a sales pitch. The listing agent should also be prepared to defend the asking price in that meeting. Tom, I have been a real estate agent for many years and I have never had a buyer purchase a home they viewed when the seller was present. It makes a buyer very uncomfortable And they don’t feel they can look freely at the home. Secondly, they can’t picture themselves living there once they see the people who live there now. Buying a home is a very emotional time for most people and they want to envision it as theirs. I even ask my seller to remove any family photos and neutralize the home so the buyer can envision themselves living there. It does work. “Special to the home. I then put together a brochure (which lists all these items) to give to all the buyers. Great information. I do agree that the Homeowner should step aside during showings, etc. The listing agent is the marketing, the one to close the deal from start to finish. That is why the Seller is paying a commission correct? The Buyer needs to feel comfortable asking their agent questions about the home and the process without the Seller being present. If the Buyer has any further questions, they are represented by an agent that will contact the listing agent to get the answers they need. Tom, respectfully, is uninformed or misinformed about brokering property. The only place for sellers to be when showing a home is ELSEWHERE! I represent buyers in most of my real estate transactions. A seller being present in an initial showing (in my opinion) is just too much of distraction for a buyer than it could possibly be constructive.I, too, have never had a buyer-client purchase a property in which the seller was present when they saw it the first time. Over a period of nearly 40 years in the business, I could describe embarrassing situations where the seller followed us around the house, making my clients feel very uncomfortable (sometimes, escalating the discomfort, resulting in an exchange of words, at times). Having a list of improvements on-hand is a much better idea. I can emphatically say that when the seller is present, my buyer inevitably walks away feeling they had no idea what they saw, and/or, (worse, for the buyer) that they have no interest in the property. At an initial viewing, I (and my clients) would MUCH prefer that the listing agent be present IN ANOTHER ROOM, leaving us to speak freely/privately about the property among ourselves, if it is an accompanied showing, or an open house. Other than at open houses and accompanied showings, if there are any immediate questions that require answers while we are there, I rely on questions answered over the phone. 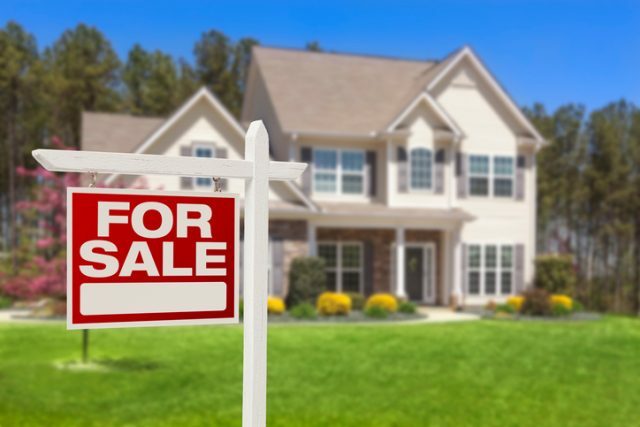 Great article and very useful for anyone trying to sell their house. It’s easy to feel anxious and seem overinvolved when buyers come to check your property, but important to let them take a tour in peace.